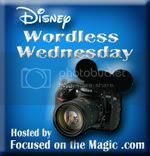 Disney Babies Blog: Window Wednesday and Giveaway! I saw this book and new I had to do a giveaway of this! And, I had to buy one for myself, of course!! The feedback from Window Wednesdays has been so positive, that I thought you may want one of these as well! It has many windows from both Disneyland Resort and Walt Disney World - some I have yet to find and some I'm not sure I'll ever get the chance to fully see when I visit DLR.. one day. For entries below - please comment in the blog your facebook user name/twitter name if there is no room for information on the giveaway. We have a special "window" on main street where we take a picture of the family every time we go to Disney. We now have 16 pictures spanning over 25 years. We now have 4 generations traveling with us! My FB name is Erin Herman and my twitter name is minime0910. Crossing my fingers! Absolutely ;-) I'll pay a little more to ship it out to you if you win! Both of you signing to win - good luck! I'll give you a hint - it's very easy to find and not expensive, so even if you don't win, it could make a great find! Lucky to have a daughter that's such a planner! The book was definitely a lucky find last week! I scheduled it before the Pres news.. good point! I actually just found this book last week! I get my trivia from different sources - books, blogs, podcasts - WDW Radio and Wedway Radio are 2 awesome podcasts all about history and trivia.. they're the ones that have inspired me to learn more! This is really cool ... I was wondering how you knew so much interesting Disney trivia?! ;-) Thanks for the giveaway - fun idea! What a neat book!! Would love to win it. FB Name Erin Weller van Staveren! Saw this on my daughter's Facebook post and she said would like one. We're leaving Saturday, January 21, 2012 for Disney in Orlanda. She planned a trip about 20 family and friends. I would like to surprise her with a great thank you gift!!! I have been to Disney World 5 times in the last 4 years and never once looked up to see the windows! The next time we go down there, I will absolutely pay more attention to what they say! Thanks for the chance! This book looks amazing!! If I don't win this one, I'm going to have to hint around for someone to buy it for me! I would LOVE to know more about the other side!!! What's up there?? Glad I helped you look up! Yup I already knew all of that! Glad you entered! I've got a couple of months worth of Wednesdays you can find some - some that aren't even in the books - but the book is a great source! There are even more than listed in the book - but having the knowledge to pick some of them out is really fun! This would be great to use when taking my daughter to DW. She love to find (spot) things. Cool Contest! We are going to Disneyland in March with Son and his family and Disney World in September with Daughter and her family. Would love to win this to try and find them all! I haven't see this book either, but it looks so interesting!! Great idea!! What a cool contest! I've never seen this book but would love to win it! Cool #giveaway. Love the #Disney windows. That's a great picture - the windows are always so clever! Great picture! I love your #Disney window pictures each week and their history! What a GREAT giveaway and how appropriate for your blog!!!! I'm entered! My favourite window isn't on Main Street...it's in California Adventure. It's Alcatraz Cell Phones...makes me chuckle every time I walk by! The Disney Babies Blog is my new favorite!! 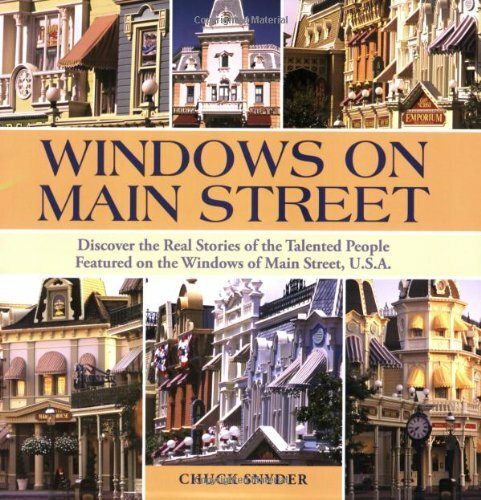 I am so grateful to win the Windows of Main Street book!! !